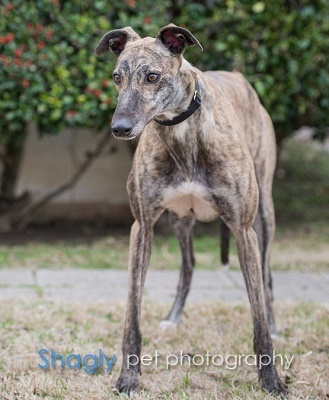 Jackie, racing name, Dancin Jackson, is a 2 year old brindle female born February 5, 2015. Her sire is El Passion and her dam is El Divas Domain. 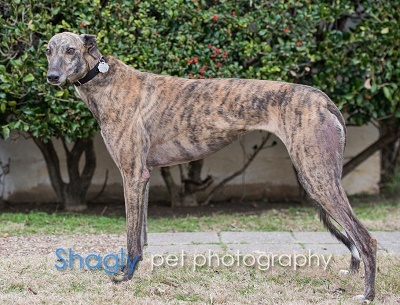 She comes to GALT from Valley Race Park in Harlingen where records show 6 races for her. It is not known at this time if Jackie will be small animal or cat tolerant.